South Korea’s disgraced former president Park Geun-hye will not appeal her 24-year prison sentence for corruption, reports said Monday. 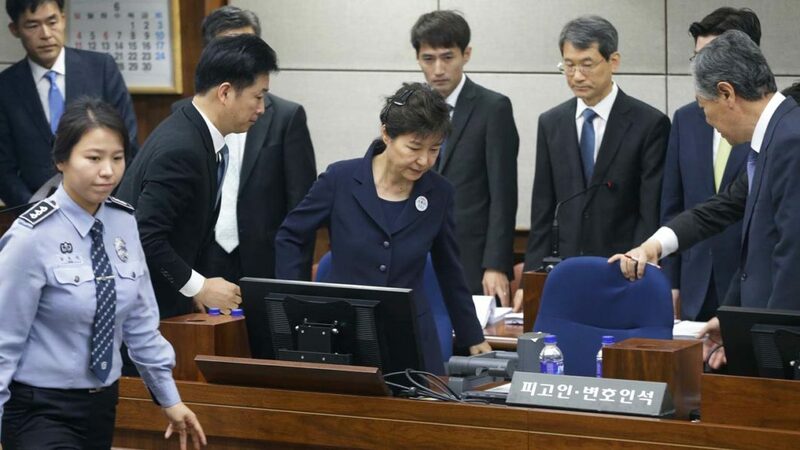 Park, 66, who was removed from office over a massive corruption scandal last year, was convicted of multiple criminal charges including bribery and abuse of power at a trial earlier this month. She has boycotted all court hearings since October, claiming unfair treatment. On Monday Park submitted an appeal waiver to the Seoul Central District Court to override an appeal filed by her younger sister last week, Yonhap news agency cited court officials as saying. But an appeal hearing will nonetheless take place as prosecutors are seeking harsher punishment. The Yonhap report said Park would boycott the process. The wide-ranging corruption scandal which broke last year prompted massive street protests against Park across the country and led to her impeachment. Park and her close confidante Choi Soon-sil were the key figures in the scandal involving charges of graft, influence-peddling and taking bribes from corporate bigwigs in exchange for policy favours. Park is the third former South Korean leader to be convicted on criminal charges after leaving office, joining Chun Doo-hwan and Roh Tae-woo. They were both found guilty of treason and corruption in the 1990s.